There's no denying Apple's retail success. Ten years after opening the first store location at Tysons Corner in Virginia, the company now counts 327 stores worldwide, where it can showcase its products to millions of visitors each month with thoughtful attention to detail. The results? Just under $10 billion in sales for fiscal year 2010 alone -- that's 13% of the company's revenue during that period, not to mention the stores are a key brand and customer service driver. Looking to mimic this strategy, Microsoft revived its retail push in 2009 and currently has 11 stores up and running within the U.S. That's tiny compared to Apple's 327 stores but the company says it has helped them transition "from thinking about customers to thinking like customers." Now, with the experience gained from the past couple of years Microsoft is ready to get serious about retail with 75 more stores over the next 2 to 3 years. 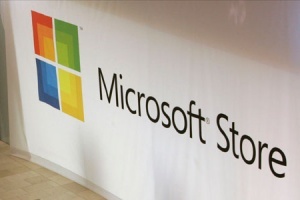 Although Microsoft didn't reveal any specific locations for the stores, it appears many will be concentrated in the northeastern U.S., California and Florida. Chief Operating Officer Kevin Turner also said that the company would begin to open stores outside the United States as well, though he gave no timeframe for this. In any case, if you live in a U.S. major city, chances are a Microsoft Store will open near you in the next couple of years.